Ancient and yet always at the height of current fashion: that is Turquoise for you. Its brilliant sky-blue belongs to the all-time favourite trend colours in the world of fashion and jewellery. In many cultures of the Old and New World this gemstone has for thousands of years been appreciated as a holy stone, a good-luck-charm or a talisman. It is a virtual "peoples?gemstone? The oldest proof for this lies in Egypt, where in tombs from the period around 3000 B.C. there were found artefacts set with Turquoise. In the ancient Persian Kingdom the sky-blue gemstones were originally worn around the neck or on the hand as protection to ward off unnatural death. If the stones changed their colour, there was an imminent danger for the wearer. However, in the meantime it has been uncovered that Turquoises may in fact change their colour, but this reaction is not necessarily an indication of danger impending. The reason for the colour change is rather the influence of light, cosmetic products, dust or even the ph-value of the skin, which may all trigger off chemical responses. In earlier times Turquoises were sometimes thought responsible for the material wealth of their bearers. For example, Persian philosopher Al Kazwini wrote: "The hand wearing a Turquoise and using it as a sealing stone, will never be poor. ?Turquoises were loved as ornaments decorating turbans, often set in a border of pearls, in order to protect the wearer from the "evil eye? They were used as talismans decorating daggers, scimitars or the horses?bridles. Turquoise came to Europe only during the time of the crusades. And from this period comes the name "Turquoise? meaning simply "Turkish stone? Also in South, Middle and North America Turquoise has always been enjoying a special position among gemstones. For example, the ancient Aztecs in Northern Peru used to decorate their ceremonial masks with this stone, a "holy stone?in their belief. The North American Indians, who are still producing quite a few pieces of traditional silver jewellery set with Turquoises today, believed that the gemstone the colour of the sky would establish a direct connection between the sky and the lakes. At all times in history Turquoise was worn as protection to ward off the influence of dark and evil powers. In former times thought to protect riders and horses from accidental falls, they are nowadays considered the ideal good-luck stones for aviators, flight staff and other professions which need special assistance to ward off accidents. In the contemporary teachings of the Healing Power of Stones, wearing Turquoise is recommended to solve the problems caused by a depressed outlook on life. The bright and happy colour is supposed to lend self-confidence to subdued personalities, and it is also very popular as a token of friendship, since Turquoise is reputed to be responsible for faithfulness and reliable relationships. Turquoise is a copper aluminium phosphate achieving hardness six, thus considerably softer than quartz. It occurs naturally in all shades ranging from sky-blue to grey-green, usually in such locations where copper is hidden in the soil in high concentrations. However, only the best quality Turquoises show the real turquoise colour, which in ordinary stones is normally rather pale, blue-green or greenish. The blue colour is caused by copper, while the green colour is caused by iron or chromium. Often the material is veined or shows spots, which depending on the respective occurrence are brown, light grey or even black. These vivid, more or less regular patterns are called the spider web. The micro-crystals are really tiny and almost not discernible with the bare eye. Usually turquoise occurs as encrustation, in veins or as nodules or nuggets. The most famous occurrences are situated in the USA, Mexico, Israel, Iran, Afghanistan and China. The most beautiful of Turquoises in wonderful light blue are found in Northern Iran. Turquoise is only rarely facetted. 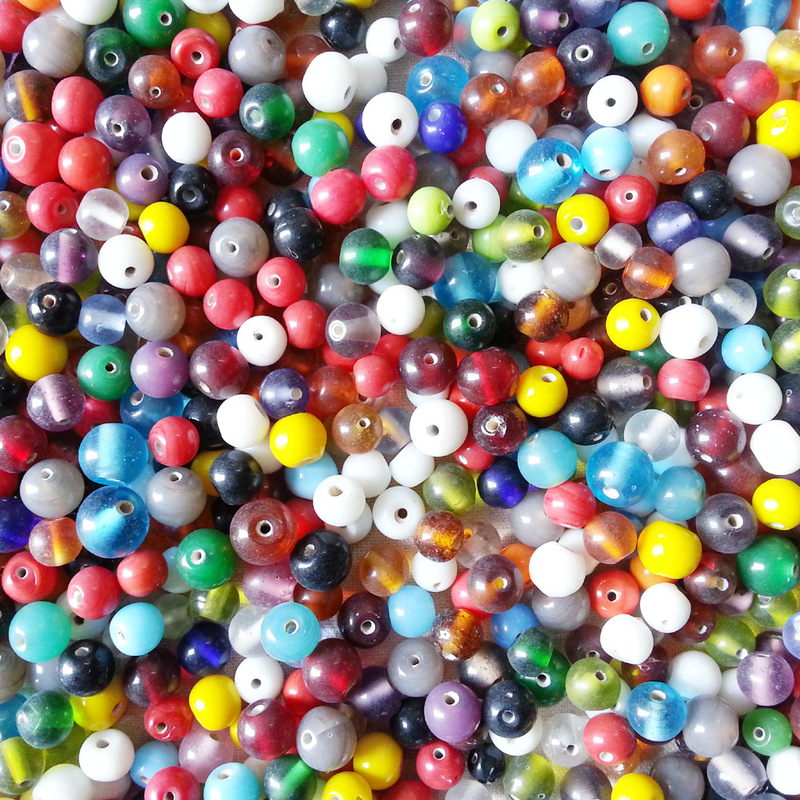 Usually it is shaped as cabochons or as beads, or even given a fancy cut. Turquoises are relatively soft gemstones and thus quite sensitive. Since the colour may also fade out in the course of wearing, today even the top qualities receive a waxing and subsequent hardening treatment. This procedure will make the sensitive gemstone sturdier. Turquoises which have been sealed with artificial resin are also available in large amounts and at competitive prices. Their colour appears fresh, and they show a high resistance. But one should be careful, because many of these stones have been additionally dipped in colour before being sealed, and this colouring is a kind of treatment which according to the rules set down by ICA must be indicated. In addition, there are also so-called "reconstructed?Turquoises, which have been assembled from pulverised Turquoise. Due to their high sensitivity, then, almost all Turquoises have been treated to preserve their beauty, however, the kind of treatment differs considerably. It makes sense, then, that naturally beautiful stones which have simple been waxed or hardened with artificial resin achieve higher prices and are more valuable than such stones, which have received colour-enhancement. Valuable Turquoise jewellery should therefore best be purchased from a jeweller you can trust. The best Turquoise quality shows a clear and light sky-blue. The colour is highly appreciated, with or without the fine regular spider web lines. The quality decreases with the increase of green in colour, and the increase of spots and irregularities in the spider web. Turquoise should be protected from cosmetics, heat and bright daylight. The gemstone does not really appreciate sunbathing. It is recommended to clean it from time to time after wearing with a soft cloth. The colour of a Turquoise will make you feel happy and relaxed, for it combines the light blue of the sky with the invigorating green of the seas. It is so unique that the language took the stones?very name to describe it: Turquoise. So if you decide on a Turquoise, you will hold a piece of the sky in your hands.